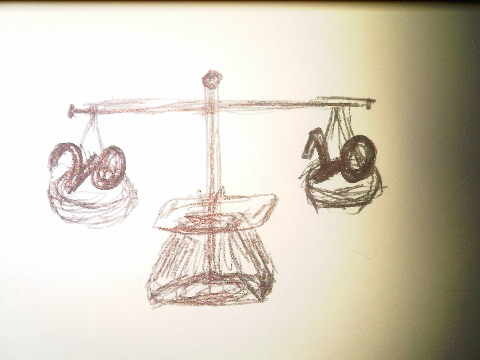 In 2010, I NEED to be BALANCED. Restin' when I need to rest, working when I need to work. I'm going to deal as gracefully as I can with the high and lows of life. So here's to a BALANCED 2010. Thank you to my friends and family members who have made it their mission to help me progress mentally, physically and spiritually. God bless you. I pray I do the same. Thank you to those who have left my life: I have learned many lessons from you and I wish you the best. It’s also the number a wise woman instructed me to use to measure out of 10 whether the man I was dating at the time would be 'worthy of my hand' – the relationship with that particular guy didn’t work out funnily enough. It’s also the number a friend stated out of 10 I should use to gauge whether I was worthy of heading out of the house, garmentally speaking. Sometimes it was a case of stepping out at five, or even four. Now, that just won’t do. Seven is real, not idealistic. In my mind, 10 is ultimate perfection – and yes, I can get to eight or even nine, but seven is now the minimum for effort, satisfaction, or aptitude level. I don't aim for seven, but I demand nothing less. 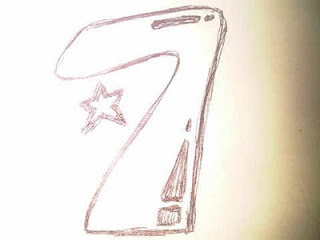 We're human and therefore fallible – so seven will do – and hey, it’s my lucky number. What do you think? Is seven too low, too high? Is it a state of mind? Let me know your thoughts below.